The internet has changed how consumers now shop and shoppers still rely on brick and mortar location shopping to make the majority of their final purchases. Buying products in real time brings instant gratification to the shopper. In store pickup eliminates the delays in delivery, delivery theft and there’s added comfort knowing you can easily return the item locally and hassle free. Multi location retailers need to understand how buyers are making their online and in-store purchase decisions. A GE Capital Retail Bank study found that 81% of consumers go online before heading out to the store..
An A.T. Kearney 2014 study revealed that of out of 2,500 online shoppers polled, from different demographic groups, including Millennials, Generation Xers, Baby Boomers and senior citizens, 90% preferred to shop in brick-and-mortar stores. Shopper’s preferences today are not indicating the downfall of brick-and-mortar shopping, it is actually showing the evolution and changing role of physical locations. In this 2016 study by Field Agent, “88% said they use click-and-collect because there are no shipping costs. Additionally, 77% indicated they feel it’s easier to browse merchandise online, while 51% said they like the instant gratification of BOPUS “Buy online, Pick up in stores” (i.e., there’s no wait). A study in 2015 by eMarketer, more than 78% of KSR (King Retail Solutions) U.S. shoppers search online and find in store pickup more appealing. Online buyers are not just price comparison shopping, they’re also analyzing product features and making final decisions based on online product reviews. The online buyer identifies an immediate need for a particular product. For example, a new outfit for a vacation scheduled the next day. The buyer then researches online in search of the product availability. The buyer compares prices with other competitors, evaluates online reviews and any possible alternatives. The buyer then makes a purchase decision on where to pick up the product and followed by an actual purchase in store. The purchase could easily happen at the brick and mortar location or online with in store pickup. The buyer will evaluate the product and brand in terms of the original needs and hopefully write a glowing review for the product. As consumers evolve with their online shopping behavior, then so should retailers. Kosmos eSync is a multi-channel, multi-location integration platform. Kosmos eSync does not store your private retail or ERP data in the eSync application, resulting in data transfers in real time, and processing speeds that are not compromised when saving data to a hard drive. The eSync dash board allows you to easily run on demand, set your schedule or update your integrations between each brick and mortar location. Kosmos eSync for the Business ecosystem is available for all Retailers! The Kosmos eSync platfrom provides a multi-channel integration for each of your brick and mortar store locations. According to an article by CNBC, “Retailers are investing to improve their inventory data systems. 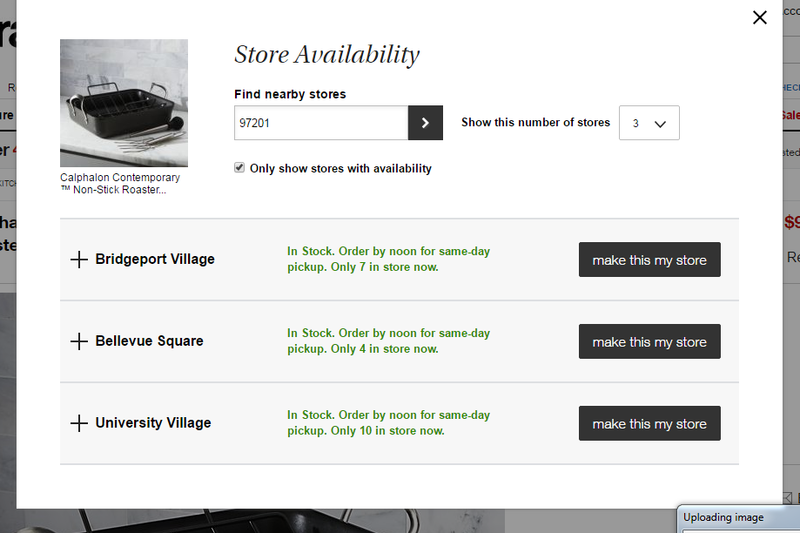 This can cost a midsize specialty retailer with a sales range of $2 billion to $4 billion anywhere from $10 million to $20 million, said Steve Osburn, a supply chain strategist at global consultancy Kurt Salmon.” Kosmos eSync can now offer the SMB market big box retailer inventory management at a fraction of the cost. Contact KosmosCentral for a Free one hour consultation today!